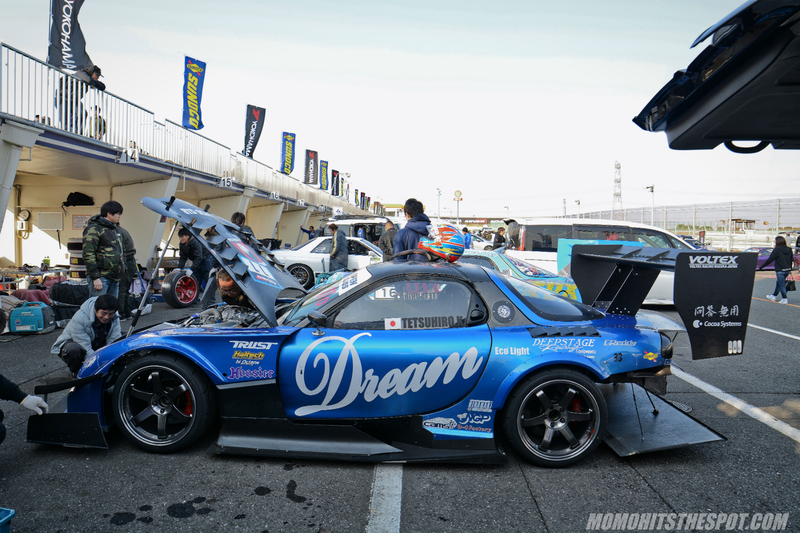 Attack Maximum Challenge 2018: Car Shop Dream FD – MoMoHitsTheSpot! 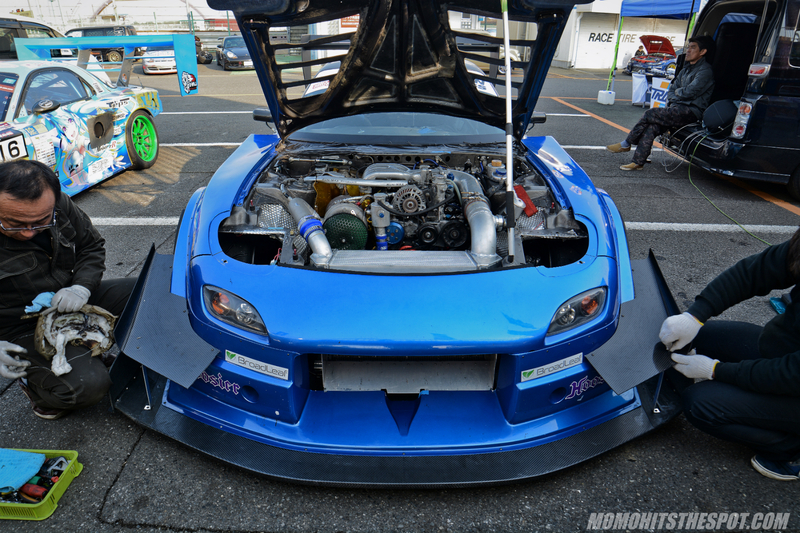 You ever get those giddy feelings and wide smiles when you see a car that just lights up your day? 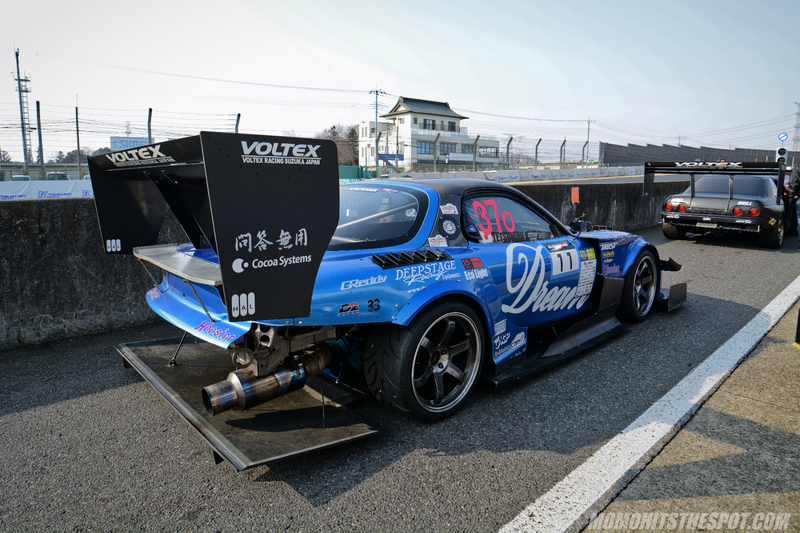 Well, the Car Shop Dream RX7 does just that for me, and it’s my third time seeing this beast in person. 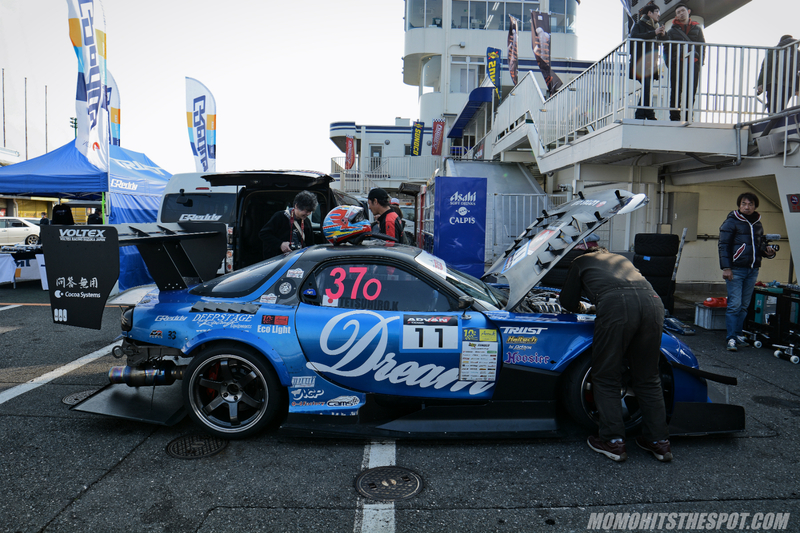 The last time I saw this car was during the World Time Attack Challenge in Sydney last October which faired pretty well with a 1:30.8440 time in the Open Class. Since then, there’s perhaps just a few tweaks made here and there but the car remained relatively the same; same aero package and same power plant. 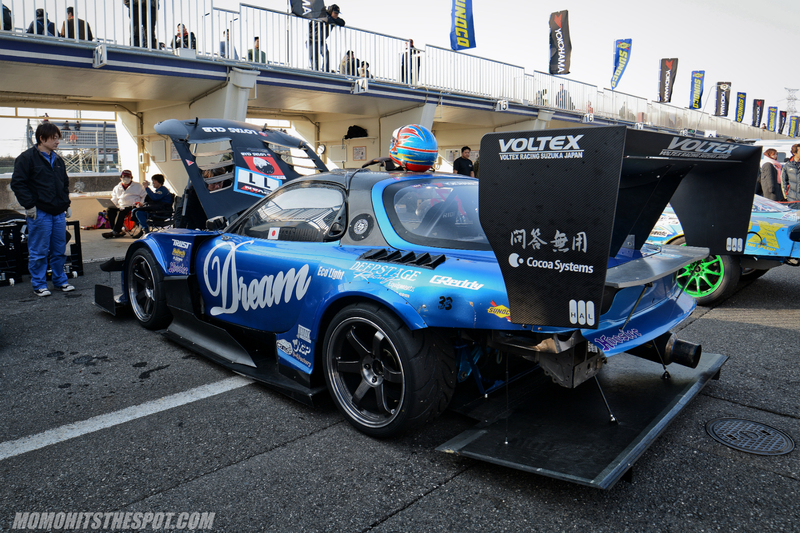 With all things fast and time attack related, you know the name Voltex is part of the equation and it’s no different here with the Dream FD. 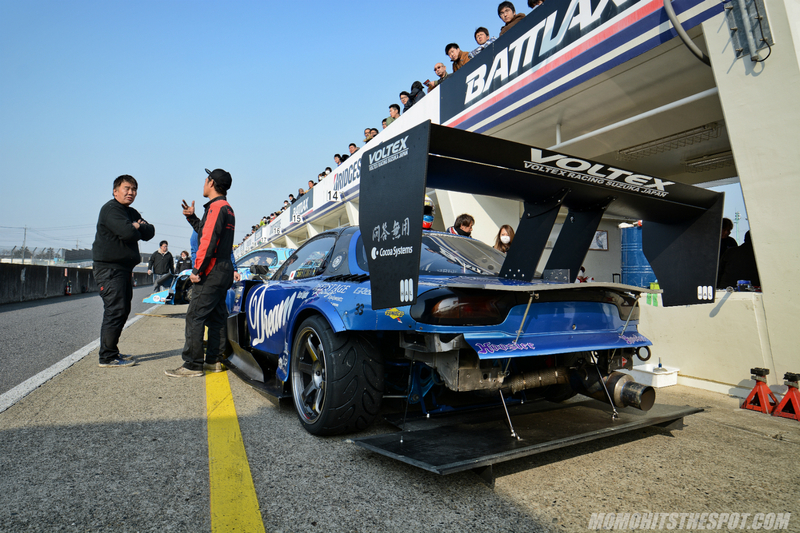 In the past couple of years, Voltex has done some extensive work with CSD FD which culminated to this latest and most aerodynamically sound rendition of the car. 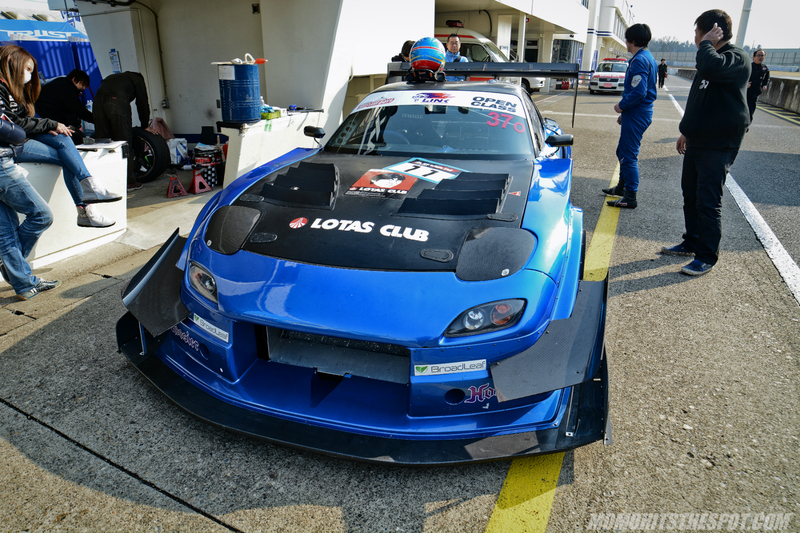 600 HP seems to be the sweet spot for competitive time attack FDs, and in this case, it resulted in a time of 55.682 for the day. 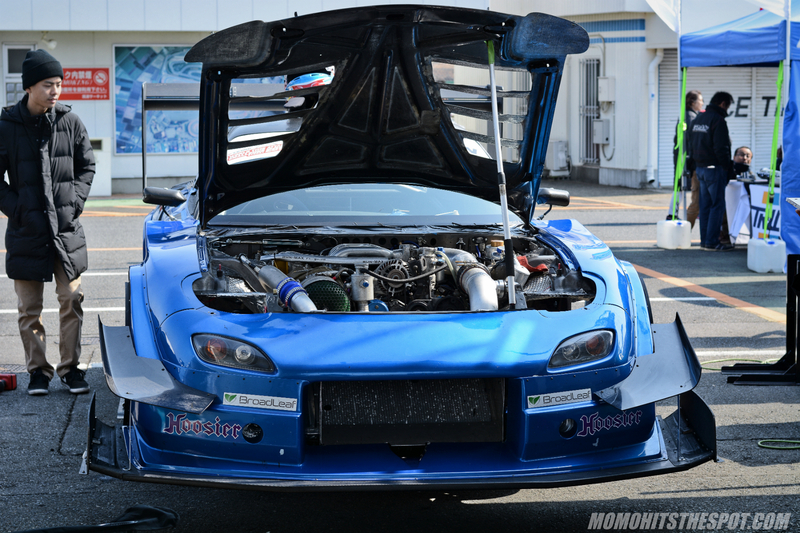 Impressive but less impressive if I told you it was slower than the Full Stage (Shark) RX7 which has over 200 HP less than the Dream FD… crazy. Towards the end of the day, there seemed to be a slight cooling issue as they were ripping apart the turbo heat shield.